Oh oh oh oh aaaaaah. Gorgeous post. 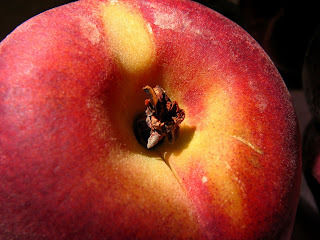 "My" peaches are 1/4" in diameter, pale green and very fuzzy. I'll put this recipe on hold until September. You posts are always so beautiful. It's a treat to read each one. I'm glad I have you on my "reader." Love this! The peaches look amazing! 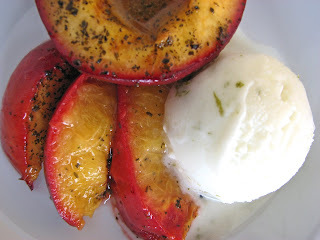 i love, love, love roasted fruit with ice cream... made some last week. Gorgeous Gayle! Those peaches look so amazing. I drink Jasmine tea all the time, so can imagine that I would love this dish too. All of your recent postings have been amazing. This one especially. Thank you so much for your lovely comments, sweet people! 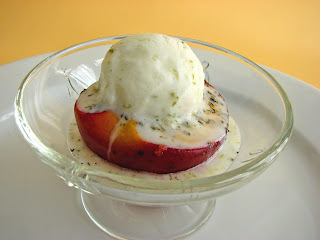 this looks delicious--your blog is wonderful! 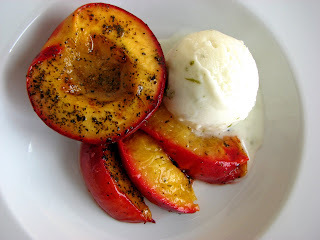 I love poached fruit with tea, right now my favorite is a blackcurrant and plum tea for poaching. This is scrumptious!